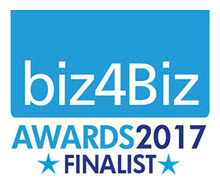 The biz4Biz Awards are impartial, independent awards that can be won by anyone involved in business in Hertfordshire. The aim of The biz4Biz Awards is to seek out examples of being the best at what we do. Online nomination and voting is open until 15th February 2019. Nominees from the Top 20 will then be invited to attend a judging day at a Hertfordshire hotel during March 2019. Companies can nominate themselves or be nominated by the general public. The biz4Biz Awards are impartial, independent awards that can be won by anyone involved in business in Hertfordshire. 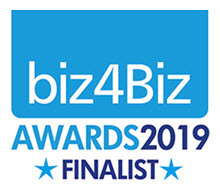 The aim of The biz4Biz Awards is to seek out examples of being the best at what we do and we are delighted that we were shortlisted in the following categories, Business of the Year, Best Corporate Social Responsibility and Best Technology Service Provider. In January 2018 Richard and Rachel to attended a judging day. We were delighted to be Finalists in 3 Categories. 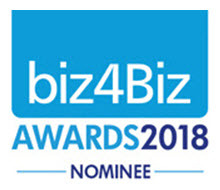 The biz4Biz Awards are the first of their kind and are impartial, independent awards that can be won by anyone involved in a business in Hertfordshire. The aim of the biz4Biz Awards is to seek out examples of being the best at what we do. We were delighted to be Finalists at the awards. The Hertfordshire Business Awards started in 1996 with the aim to recognise and reward the county’s top businesses in a variety of different sectors and categories. They have celebrated the height of business for 20 years now and continue to expand, with more companies entering the competition and the awards becoming a high accolade for local enterprises. Winning Social Enterprise of the Year 2015 was one of the highlights of a great year for TheGivingMachine. To have been selected as Finalists again in 2016 was a great honour. TheGivingMachine team were delighted to be finalists in the Social Enterprise category of the Hertfordshire Life Business Awards 2015. Winning the category was an even bigger surprise and of course we were over the moon. There were 439 entries across the 13 categories of the Trust Awards and thousands of people cast their vote. We were delighted that TheGivingMachine won the 2015 Most Trusted Social Enterprise Award from the Entrepreneurs Institute. Our team is so grateful to serve the wonderful people and causes that are part of our growing community. We’re delighted that Achieve Magazine chose TheGivingMachine as their charity of the year for 2016. The magazine is a quarterly publication for Parents, Foster Carers, Schools & SEN Coordinators across the UK and so a great fit with our community focus. The Herts Digital Awards have been embraced by businesses as a commitment to the fast-growing need for digital technology in the work environment. We were proud to be 2016 Finalists in two categories: Website: School, Education or Charity and for Use of Social Media for Business with Cariad Marketing. The Tech4Good Awards celebrate the people who use technology to make the world a better place. The 2016 winners included the BBC micro:bit, an innovation that will save the NHS time and money and a nine year-old inventor who walked off with two of the Awards! TheGivingMachine were honoured to be Finalists in the BT MyDonate Fundraising Award. We are delighted to be a Parentkind approved supplier. Established in 1956, Parentkind (formerly PTA UK) is a charity that aims to advance education by encouraging the fullest cooperation between home and school, education authorities, central government and all other interested parties and bodies. We are proud to be a member of The Institute of Fundraising. The Institute of Fundraising (IoF) is the professional membership body for UK fundraising. They support fundraisers through leadership and representation; best practice and compliance; education and networking. Social Enterprise UK are the leading global authority on social enterprise. They are the biggest network of social enterprises in the UK and are a strategic partner to 6 government departments and have led public policy on social enterprise for 15 years. They have unrivaled business relationships working with some of the biggest companies in the UK to support social enterprise through their supply chains, people and networks. Registration with the Fundraising Regulator, means our charity supports good fundraising practice and demonstrates commitment to the Code of Fundraising Practice.